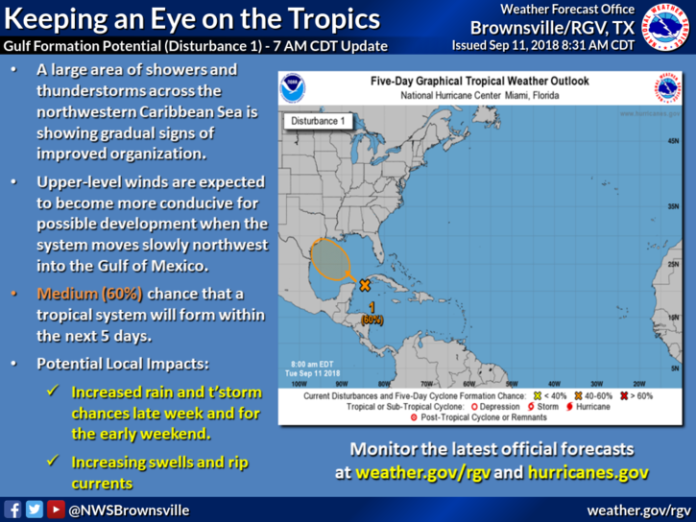 Showers and thunderstorms in the Caribbean Sea have a 60 percent chance of organizing into a tropical system in the next five days as it moves into in the Gulf of Mexico, according to the National Weather Service in Brownsville. The forecast calls for tropical moisture in the Rio Grande Valley through Sunday, which could potentially cause flooding. The Valley is currently under flash flood watch until 7 a.m. Wednesday.